Valentines day is just around the corner and whether you're in love or wanting to take someone out to impress them I've found a great place just for you. Just outside the heart of the city (with free car parking I might add) is this Thai restaurant which opened in 2014. R and I made our way after work for a double date with Chloe and Simon from New girl in toon. We were treated to the Valentines menu. Which started off with two appetising palters. Chicken satay in classic peanut sauce (my favourite Thai dish), pork spare ribs in homemade barbeque sauce, golden parcels inside is minced chicken and prawn meat served with chilli sauce, prawn and chicken toast and vegetable spring rolls. Tempura vegetables, vegetable spring rolls (they were good enough to have twice), sweetcorn fritters with sweet chilli sauce, golden parcels inside are chef's vegetables and in the centre was a Thai papaya salad. I love these kind's of palters, especially when there is a group of people dining with you as it get's people talking about what they like and what they don't like. Luckily for us the food was brilliant so we loved it all. We had a little breather between course's. From the Vegetarian banquet we were treated too. Mixed vegetable and fried tofu in yellow curry. This was absolutely delicious. For main course on banquet A, we have the following. All dishes were served with steamed jasmine rice. And there we are, all happy and full. I do love a good Thai meal. If you want to treat a special someone the vegetarian banquet is £25 pp and banquet A is £28. There is also amazing wine offers too. I'd recommend booking as I can imagine it will be pretty busy, 0191 2326080. 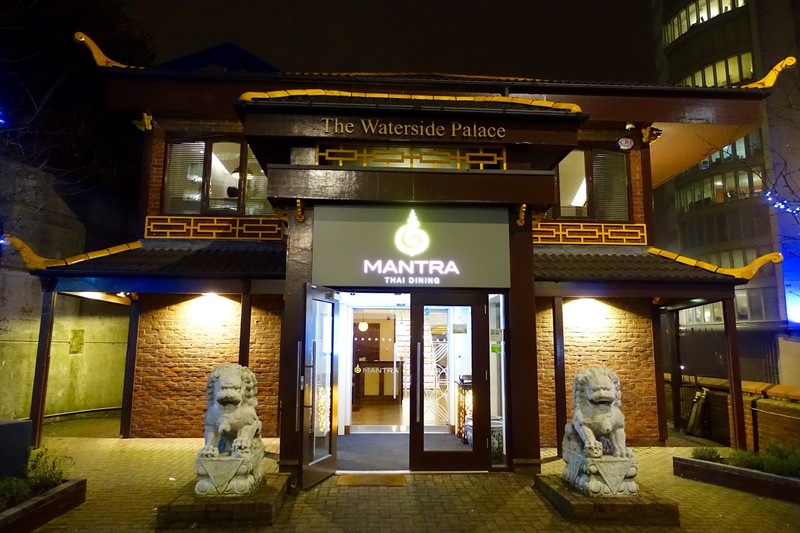 Or you can book through their website www.mantra-thai.co.uk. Where will you be taking your loved one on Valentine's day?